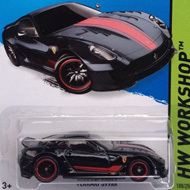 195/250 is part of the HW Workshop series and the 2015 Super Treasure Hunt set. The Spectraflame orange muscle car features a black hood and graphics. 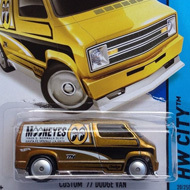 “Boss”, “TH”, and the Hot Wheels logo appear on the sides. It has clear windows, a black interior, 8-spoke Real Rider wheels with gray rims, BFGoodrich Radial T/A tires, and a black plastic Malaysia base. 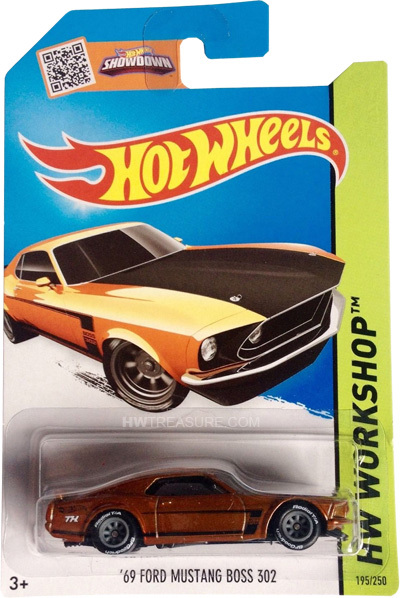 The ’69 Ford Mustang Boss 302 made its debut in the Hot Wheels Racing – 2012 Muscle series. It is based upon the high-performance vehicle of the same name.